Can You Play Games On A Windows 8 Tablet? The introduction of Windows 8 made it possible for PC manufacturers to start building full-blown tablet PCs. These run Windows and have the same kind of hardware you’d usually find in a laptop. Some are on par with an ultrabook, and gaming peripheral company Razer sells a gaming tablet called the Edge. This has made users curious about how far they can push the limits of a tablet PC. Can the system run games? And if it can, what are the common limitations? Here’s everything you need to know about gaming on a Windows tablet Why A Windows 8 Tablet Cannot Completely Replace A PC Why A Windows 8 Tablet Cannot Completely Replace A PC A Windows 8 tablet can theoretically replace your beefy desktop computer, cut your electricity bill, and let you work from anywhere; except that it can't. Hear the pros and cons from someone who tried it. Read More . Before delving too deeply into other aspects of gaming on a tablet, we should first address the hardware. If tablet PCs are too slow to run games, the rest is rather pointless, right? Surprisingly, most Windows tablets can run modern games. Any model with a Core processor also comes with Intel HD 4000 graphics (or better), and while hardly a powerhouse, this integrated graphics solution can run all but the most demanding titles (like Battlefield 4 or Titanfall) at 1366×768 resolution and low to medium detail. Games like Diablo 3 Can Your Computer Run Diablo 3? Let's Find Out [MUO Gaming] Can Your Computer Run Diablo 3? Let's Find Out [MUO Gaming] Blizzard games are known for their cartoonish, high-color art style. By focusing on character and level design the company can make new 3D titles that are attractive but also relatively easy to run. Gamers sometimes... Read More , League of Legends Why Is League Of Legends The Most Popular PC Game In The World? [MUO Gaming] Why Is League Of Legends The Most Popular PC Game In The World? [MUO Gaming] Earlier last month, news broke that League of Legends, the addictive rehash of MOBA games like DotA and Heroes of Newerth, has officially earned the right to call itself the most popular game on the... Read More and Team Fortress 2 can be played at an acceptable framerate if you don’t mind a somewhat ugly experience. There are also a few tablets, like the Razer Edge, which feature discrete graphics. These can play any game at 1366×768 and low to medium detail, and older titles may be enjoyable at high or maximum settings. You pay for the privilege, though; the Edge starts at around $899 (on sale). Some tablets don’t use the more powerful Core architecture and instead use Intel’s Atom. The older Atom single-core and dual-core parts have an ancient integrated graphics processor that’s virtually useless for gaming. Newer quad-core models are quicker, but still not really up for running most titles at anything but the lowest detail available. You’ll want a Core-powered tablet if you have any plans to game, even if only on occasion. So, it turns out that tablets can run games. With that established, you may be wondering what cool new games you can play using a touchscreen device. The answer is… none, really. Most games built for Windows don’t support touch or, if they do, implement it in the most rudimentary fashion possible (Civilization V is a good example). Even Halo: Spartan Assault Windows 8 Gaming Hits Second Gear With Halo: Spartan Assault Windows 8 Gaming Hits Second Gear With Halo: Spartan Assault One of the greatest video game franchises, Halo has been shy of Windows PC since Halo 2 was released in 2004. Halo: Spartan Assault for Windows 8 changes all of that – but is it... Read More , which debuted on Windows 8 and Windows Phone 8, can be played with a keyboard and mouse. You’ll find a fair number of touchscreen games on the Windows Store, but the majority is ported from other platforms. You can enjoy hits like Jetpack Joyride and Cut The Rope if you haven’t already played them on a smartphone or Android/iOS tablet, but don’t expect anything unique. 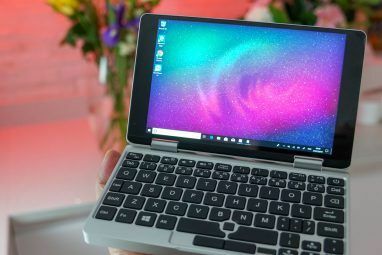 In short, there are no notable titles built for Windows tablets, and you’ll need a keyboard and mouse (or an Xbox controller) for most games. At this point, I’ve probably convinced you a tablet PC isn’t a good pick for gaming no matter the genre. That’s good. Anyone buying a tablet to game is going to end up deeply disappointed. But not everyone has a choice in the matter. Some people use Windows tablets because they’re portable and easy to travel with, yet also want to play games, too. Here’s what you should pack if you do intend to game on your tablet. First, if your tablet does not have a stand, make sure that you find one. This will be necessary to prop it up on a desk and play a game. The Anker Mutli-Angle works well with thin tablets, while owners of thick tablets will need something like the IPAD-ST or the Cyber Acoustics Universal Tablet Stand. Next, you’ll need a controller. If you primarily play titles that are cross-platform, like shooters and role-playing games, the Xbox 360 controller is a great choice. Many developers optimize for the 360 controller and a wired model is only $20. I suggest going wired because you won’t have to worry about packing batteries or a battery charger. Many tablets have just one USB port, which will be occupied by the wired controller. That’s a problem if you also want to use a keyboard and mouse. The solution is a USB hub that splits one port into three or four. Sabrent sells a cheap 4-port hub which does the job. Travelers limited on space may instead want Belkin’s tiny 4-port hub instead. Packing a keyboard specifically for gaming could be a chore, and at that point you might be better off with a gaming laptop. Still, there are options if you must game on a tablet. My favorite is the Cooler Master Quickfire Rapid, which lacks a numpad and as such is small enough to fit in almost any backpack or suitcase. You may want a mouse, too; I suggest the Logitech Wireless Anywhere MX, which has five buttons and an invisible laser than works on any smooth surface. Buyers on a budget might instead try the wired Etekcity, which is only $20 and also has five buttons. Yes, you can play games on a Windows 8 tablet, and doing so isn’t that difficult. 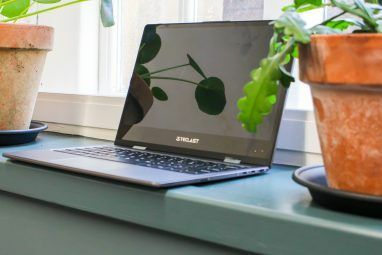 The hardware and the operating system are identical to small laptop, so software and peripherals work as you’d expect. I don’t recommend buying a tablet specifically for gaming because there’s nothing unique to play and the hardware isn’t fast enough to run titles at high detail, but if you have no choice, you can make do. 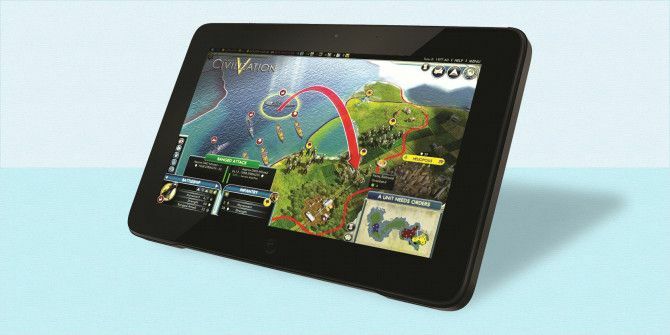 What do you think of gaming on a tablet PC? Would you ever do it, or do you think it’s a silly idea? Sound off in the comments! I am wondering if Sonic Generations would run at 30+ FPS on a Surface Pro 3 or 4. Hi. I have been using a win8 tablet for a week...since it is tough screen, RTSes like red alert, CNC, dune, KKND etc runs fine since you can touch the units directly. Fun. But for other games, I seriously tried. Used the windows on screen keyboard cuts the screen in half, and was unpleasant. I gave up and bought a MOGA wireless controller. The win8 Bluetooth detects it really easy. 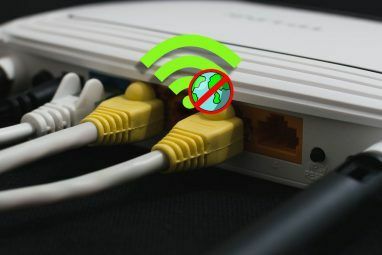 For FPSes...just forget it unless you're playing DOOM with your wireless controller. (as of April/May 2015) Still waiting for the 32Gb NVidia shield to arrive in Japan. Not available in country yet for somme VERY STRANGE Reason. So; I would use that and Stream (PITY it doesn`t allow Steam gaming [according to many sites] and what about Steam Linux gaming? [or does it do that; as that news seems to be secretive]). So... patience is key. No doubt the X1 NVidia chip will bring about a slew of Linux Gaming tablets. The post is about Win8 tablets not Android. Win8 cant run. Apk AT ALL! Mazdajavis of course you can run APK on Win8. If you could not there'd be no developers creating APK's with Win8. It's not even that difficult of a process. A 3-5 min video on youtube would more than help you figure out how to do it. Unfortunately, it appears to consist of three games! Strangely though Civilization 5 is not on that list, and I know that games has touch controls available. @DOe or the Author - Can you help me out by providing a list of games that have a touch functionality on Steam I have a Windows 8 tablet sames as yours Dell Venue Pro 11 & quite some games in Steam but none of the indie games work which I have bought have the touch functionality. If I have a list I can probably buy them. Hope Steam picks this up and I have commented on every greenlit game make touch functionality available for W8 tablets. The prospects of using a tablet as a travelling game system are diminished once you're packing a tablet, stand, keyboard, mouse, and (optionally) a controller. Also, the specs may be (just about) up to scratch, but from what I've heard the support isn't. I know someone with a Windows 8 laptop, and pretty much everything is buggy on it. He's had issues with Steam, Skype, Java, and even the headphone port, which limits its usefulness. Your friend should stop buying cheap laptops. I own several Windows 8 tablets and laptops from Dell and I have zero issues with them. Gaming, software, and hardware support is about the same as Windows 7. I can play Steam games on both my Dell Venue 8 and 11 tablets with decent frame rates. I can even plug in my Xbox controller and hook it up to my HD TV. It's a HP laptop I believe. You should stop making assumptions and perhaps think that not everyone's experience is the same as yours. At least I prefaced my comment with "from what I've heard". I agree 100%. A Windows 8 tablet really isn't a good choice for gaming. A laptop would be better. But if you're stuck with a tablet, it is possible to play a few games.